While normally, I don’t go into detail about these journeys, the words that Nauthiz spoke to me require a bit of context to understand. So please, let me tell you a story. I asked to be taken to one of the children and was led to a little boy, maybe 7 or 8 years old. I laid my hands upon his head and sung a song of power (that centered around Nauthiz) and when I had finished I knew he would be well. As I left the small house with the boy sleeping inside, the people of the village kept stopping me – to thank me or to ask me to help their children. I knew however that I needed to speak with the need-fire. I am Nauthiz, and here you have seen my power. They realized the on thing that can always do – seek help. For it was through you that aid and hope have been given to these people. I turned around and the village cheered me as I left for the aid I’d given. And truly, I believe this aspect of Nauthiz – the giver of aid – is so often overlooked. It is a great gift of Nauthiz that we see the ties that bind and can call out to have them cut; sometimes we can accomplish this ourselves, but other times we need the help of others. Sometimes we are but instruments of healing and I am honored whenever I am chosen for this role. I’ve been doing some recent journeying to meet with a spirit guide that began coming to me in dreams over the summer. I thought at first that perhaps I was seeing bits of a past life because of the strong and deep connection I felt to her. She was an old woman – with long grey hair tied back with a strap of leather. She wore layers of cloth and skins with an outer cloak of blue. She was surrounded by runic charms, simple tools, and an aura of sheer power. Last month, I decided to journey to see if I could meet her or at least learn about her. With Crow’s help, I found her tucked away in the Upper World. She told me her name and that I was the first of her children to return to her – that is, the first descendent to walk a shamanic path. She gave me some tasks, told me to learn more about the ways of my ancestors, which is something I am slowly but surely working on. As the winter sets in, I find myself coming back to the experience I had with her and my analytical mind likes to chime in: Was she honest with me? Does she really have my greatest good in mind? Am I really able to figure this out on my own? Am I encroaching on the faith of others? Does that matter? Lots of questions I’m tackling over the winter. I’ve seen about five more crows since my last post about Crow. I’ve been so busy with school and work the past few days that I haven’t had a chance to journey to see Crow – but I’m planning on it today. So to tide my curiosity and give me a general idea, I made an impromptu pendulum board with different aspects of Crow written in the sections. So, there’s the gist of how I made it, but I’d like to go a little more in-depth about the aspects that I used. Oh, and before we begin, I use “Crow” and “Raven” interchangeably, because, scientifically speaking, they are from the same genus (Corvus). Intelligence: As far as birds go, Crows are incredibly intelligent. Some species actually make tools to use in looking for food or utilize the tools of humans to do their work for them. Oracle: Crows can be trained to speak (not unlike a parrot) – this imitated human voice lends itself well to legends about Crow being an amazing oracle.Furthermore, think of the ‘kraws‘ sound that Crow sometimes makes – to me it sounds a lot like the Latin ‘cras‘ which means ‘tomorrow’. Secrets: Crows can be very deceptive in their actions – keeping their true motives and actions hidden. They are seen in many mythologies as keepers of secrets. Wisdom: Many ancient mythos associate Crow with wisdom (and prophecy, but I’ve talked about that) through the gods that are associated with Crow, such as: Odin, Bran, Cailleach, and Morrigan. 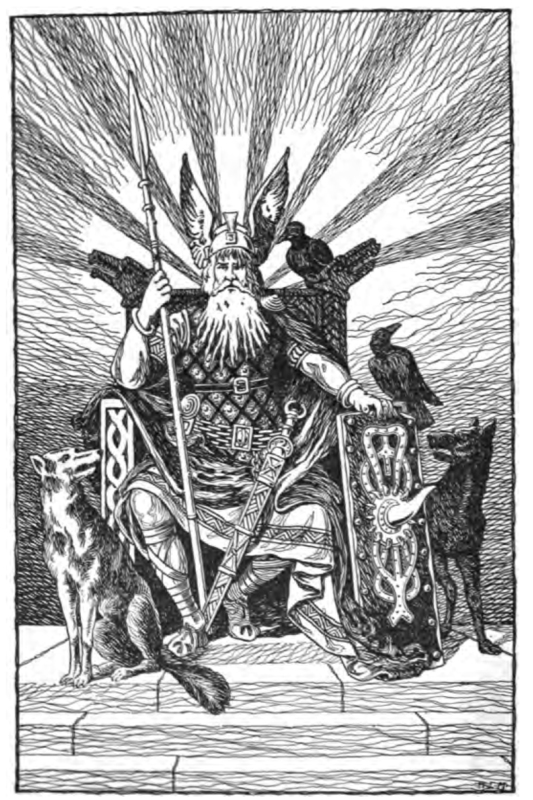 Thought/Memory: Odin is said to have been attended by two Ravens – Huginn (Thought) and Muninn (Memory). They would fly all over the world everyday and later tell Odin of everything they had seen. These two concepts are so connected that I could not separate them. Bringer of Light: In Haida myth, Raven steals the sun (amongst other things) from Grey Eagle, who horded the sun, moon, stars, fresh water, and fire from humanity because he so despised them. Oddly enough, in the beginning of this myth (and others) Raven is a white bird, whose feathers are burnt by flame or the sun. Creation: The black color of Crow is associated with the void of creation – the primordial womb from which all life springs. Some Native American myths speak of Raven as having created the world. Change: Crow is known as a shape-shifter in many cultures. Also, Crow’s assocation with death and the transition from life to death connects to change on a great scale. P.S. I turned on Bones tonight, and they were talking about the American Crow. Like I said in my video, everywhere! In shamanism it is believed that part of the soul is free to leave the body – often at dream time or journeying. The soul can also split off parts of itself in times of distress or trauma and these part can “flee” the situation as a survival mechanism. Sometimes, these soul shards don’t return right away. This is called soul loss and can lead to many mental/emotional aliments including depression and memory loss. Most often soul loss creates a feeling of incompleteness; you know when people say “I feel like a lost something when [something happened]” or “a part of me died when [something happened]”? That is soul loss. Drumming on one of my hand-made drums. 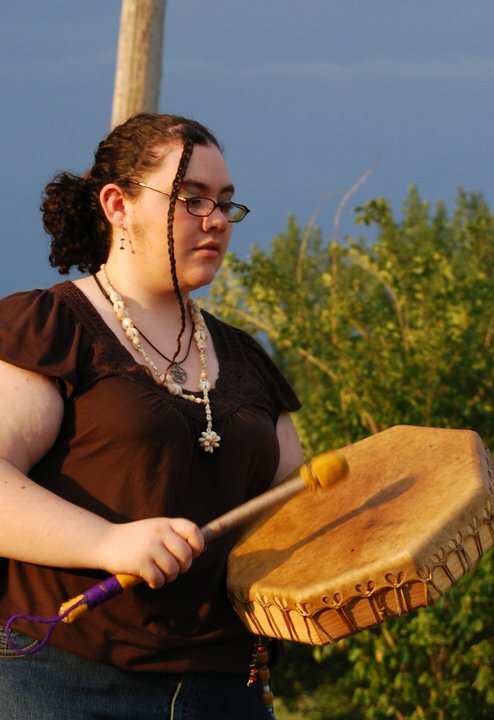 Drums are a common tool for shamanic practitioners. Part of the duty of a shaman is to help in the retrieval of soul shards. This is something I have not yet learned how to do, but have (I believe) experienced in the form of a spontaneous soul retrieval. When I was a sophomore in high school my parents were going through a “rough patch” which led to a long and rough divorce. In this time, my friends were my escape – I spent as much time with them as possible so that I wouldn’t have to deal with the fighting and the anger. One friend in particular stands out, his name is Jeremy. I believe that at some point, a part of my soul split off and, for lack of a better word, attached to him. It was only after hearing that Jeremy was about to move that I “knew” (not in an intellectual sense, mind you) that something was missing. Of course, at the time I didn’t know anything about shamanism or soul loss. Not long after taking an introductory class on core shamanism, I kept seeing Jeremy in dreams or stumbling upon old pictures. So I meditated and journeyed about this in an attempt to understand what this meant. 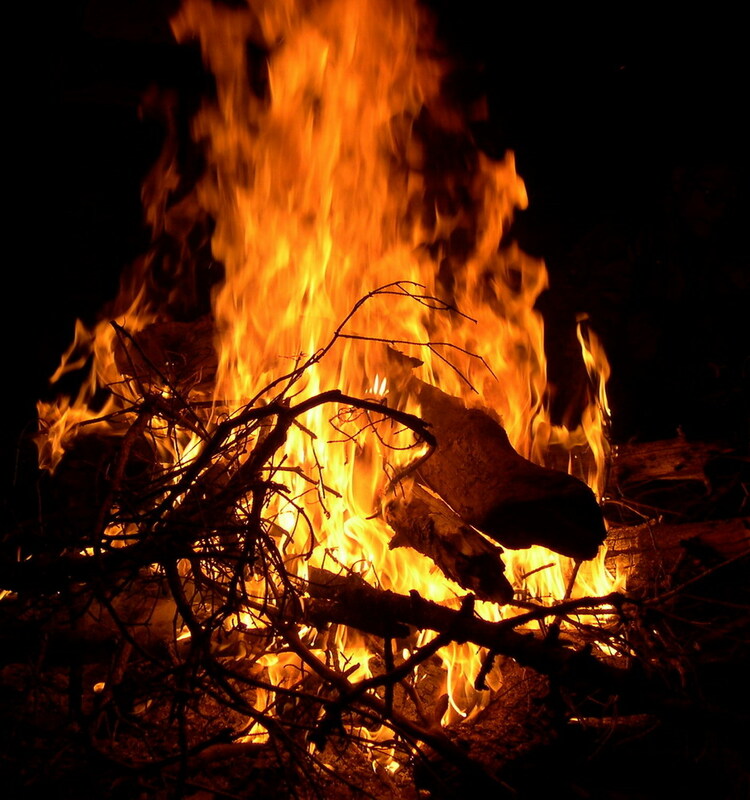 Then I remembered a few things my shamanic instructor had said about soul loss and soul retrieval – so I looked it up and was surprised to see how well that fit how I’d felt when he left – like a part of me was missing. Not long after this revelation, Jeremy called me up saying that he’d be in town for a day or two and wanted to get together. As I dropped him off after spending a few hours running around town, I felt a massive shift in energy. I got some sudden insight, like Spirit whispering in my ear. It was back – the piece I was missing. I can’t seem to find any information on what I’ve decided to call spontaneous soul retrievals, but I know that’s what I experienced. As a practitioner of core shamanism (which pulls together common elements from various indigenous cultures), I try to always be aware of signs, symbols, and messages from Spirit. In various cultures around the world, the spirits of animals are said to have great meaning and knowledge to teach us. Today, as I was driving, a crow landed near me – without fear or hesitation – and followed me for almost a block. This is very unusual behavior for crows in my area, so I see it as a message. Crow clearly has something to tell me. Crow is a keeper of knowledge and often signals a time of shift or change. With one eye in the physical word and the other in the spirit world, Crow teaches us how to use our psychic vision and see between the worlds. Crow also aids in healing and creating wellness from the void. Why exactly Crow is here, I’m not sure of yet, but I cannot wait to find out.